Together Bonded silver and 9ct yellow gold men's 18" curb chain. 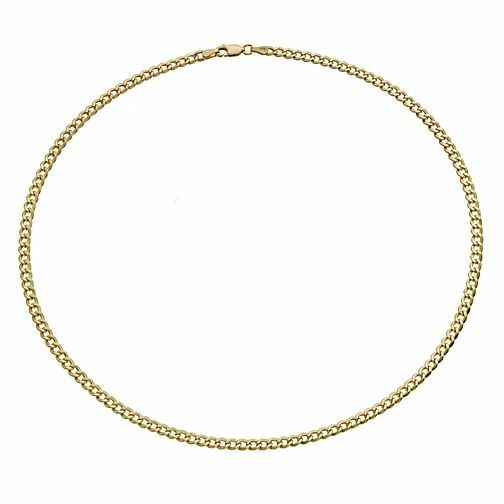 Together Silver & 9ct Bonded Gold 18" Curb Chain is rated 4.5 out of 5 by 4. Rated 5 out of 5 by Anonymous from Very friendly, Made us Welcome, Would come back again. Iam glad that I thought about H Samuels.I'm very pleased with the chain i bought. It is very good quality. I would really recommend using them. Rated 5 out of 5 by Anonymous from Perfect gold chain This product is what it is. If you’re looking for a gold chain then this one is perfect. Light weight but looks more expensive than it is.